This article is a short summary of Donkey Kong 3. 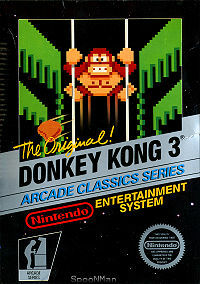 Donkey Kong 3 is a game released for the Nintendo Entertainment System. This page was last edited on 13 October 2018, at 18:32.